There are some amazing toys out there. I particularly like toys that help my children learn. I’m not a big fan of electronics or toys with too many buttons and sounds. Something simple that encourages a child’s imagination is the way to go in my opinion. When my oldest C started speech therapy I took note of the toys his therapist used. I went out and bought similar ones. I’m so glad I did. These toys have now been with us for a few years and all three of my kids enjoy them every day. Here is a list of 10 of my favorite toys to encourage speech development and fine motor skills. My post on 12 ways to help your child with speech will give you some ideas on how to use them. This is a great toy and is so much fun! All three of my kids have enjoyed it tremendously. It teaches hand/eye coordination, colors, turn taking, number counting, open/close, and whatever else you can think of. Overall one of my all-time favorite toys that I purchased for my kids. You can buy this fishbowl on Amazon. I linked it to my affiliate link. However, it looks like it is not manufactured anymore. Here is a similar toy that seems to be more readily available. Subscribe to get these free printables and receive future emails on the latest posts and free printables. Yay! Now check your email to confirm your subscription and get your printable. Good luck friend! I'll talk to you soon. This is a similar toy to the ones I mentioned above. There are no colors involved but it’s pretty great for counting, turn taking and open/close. I absolutely love this puzzle. I still have one from 7 years ago when I bought it for C when he started speech therapy. This puzzle teaches hand/eye coordination, matching, sounds and letters of the alphabet. And the bonus is there are animals under the letters! Can you tell how much I love Mellissa and Doug toys? They just have such great educational toys and they are amazing quality. This number puzzle is again great for hand/eye coordination, colors, and counting. A shape puzzle is a great addition to your puzzle collection. Once more we have hand/eye coordination. Your child will also have a chance to learn colors and shapes. Just be careful and don’t lose the shapes! I recently discovered I lost most of the shapes. I’m planning on buying a new puzzle soon! This is a great toy for little ones especially. There is open/close, picka-booh, animals and animal sounds. So much to learn! I think this foam stuff is so fun. You can make anything out of it and it doesn’t stick to your rug and get hard like playdoh! We make balls, ice cream cones with ice cream, nests with eggs, hats. Keep the colors separate or mix them up. Just don’t let your kids eat it! Blowing bubbles are such a fun way to practice oral motor skills. Check out my last post on speech play if you haven’t done so. These tumblers I highly recommend. The reason is they are NO-SPILL! Even the littlest hand can hold this bottle full of bubble soap and even if they hold it sideways or drop it, it keeps it all inside. What can I say, wooden train tracks are so much fun. There is so much for your child to do using their imagination! There’s a whole story to tell here. This is great practice for their hands to put the track together, line up the accessories and characters. And then guide the trains down the train track! This Lego Duplo set is definitely for younger kids. But it is also great for older kids who struggle with fine motor. I love this set because there are so many things you can build out of it. Kids can put together their own creations or follow the examples on the box. The pieces are big and easy to handle for little hands. There is so much you can teach your child just by getting down to their level and playing with them. These 10 must have toys are a really great start. You can get them by clicking on the picture which will redirect you to Amazon. They are my affiliate links. That means I get a tiny commission if you buy through the link. It doesn’t cost anything extra for you. What’s great are most of these toys are available at Walmart and Target, as well as Ross, Marshalls and TJ Max. Do you have favorite toys for your kids? 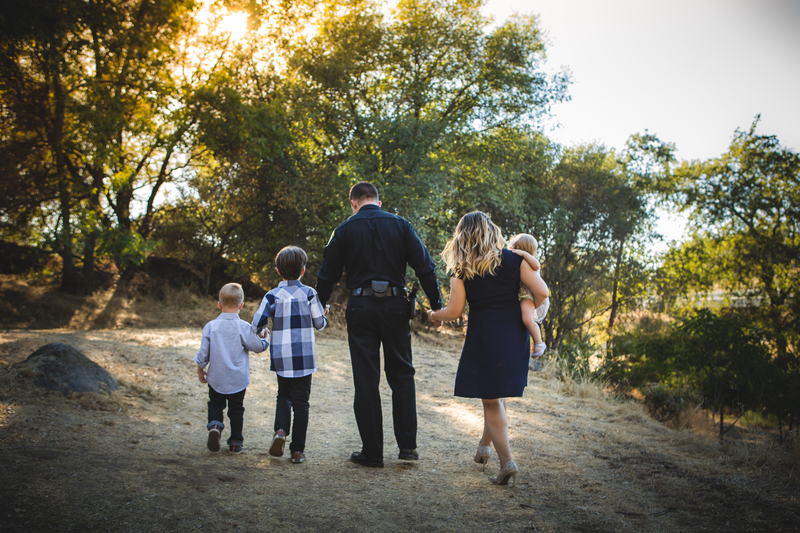 My name is Kristina and I am a child of God, LEO (Law Enforcement Officer) wife, and mother to three amazing (and sometimes difficult) kids. My oldest has unique diagnoses and is considered special needs. When I was younger I had my life all planned out, and nothing turned out as I planned! And I wouldn’t change it for the world. Check out Our Story page for more details. These days I’m busy trying to balance my life as a stay at home mom, and a wife. At the same time trying to find the time to grow personally and spiritually. I get asked, “how do you do it?”. I invite you to come along on this journey with me to find out.